In India, the goats of beetle species are found in Punjab and Haryana states. Pure beetle breeds are found in Gurdaspur, Amritsar and Ferozepur districts of Punjab province. The beetle breed has the same features as the Jamunaapari goat breed. 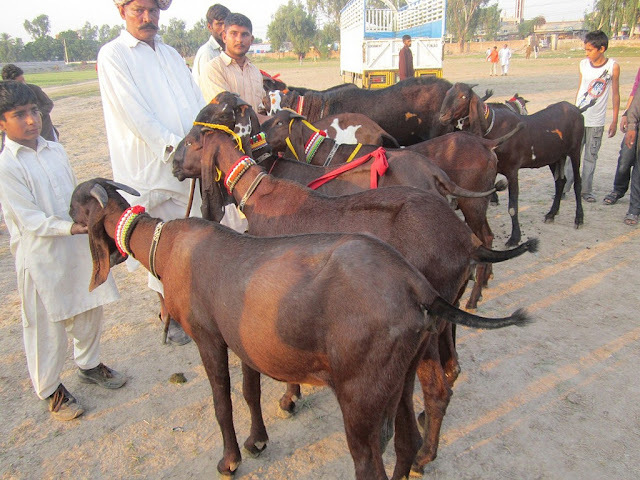 Beetle goat is also found in Pakistan.Easily mixing in any environment is the specialty of the beetle goat.This breed is quite suitable for stall feeding. The following are typical characteristics of Beetal goat breed. 1)This goat grows easily in any weather condition. 2) Beetle goat's body is white and there are brown colored spots. This feature separates this goat from the rest of the goats, due to its color, it is easy to recognize them. 3) As far as physical texture is concerned, beet goat is less in height and length compared to Jamanapaari goat. 4) The udder is large and developed having big conical teats. 5) Stony and high body, long legs, long hanging ears and small tail are the anatomy of these beetle goats.